When author, speaker and consultant Larry Johnson talks about a positive workplace, he is speaking about employees who are turned on, excited and who want to do a good job, he told attendees of his seminar titled, “Creating an Insanely Positive Workplace,” during the recent ISSA/INTERCLEAN® North America trade show. As an example, Johnson told of an encounter he had with an employee of a well-known commercial airline. Johnson was scheduled to speak at the airline’s headquarters. When his flight arrived, he discovered his luggage had been routed to another city. A woman at the baggage counter told Johnson the luggage would arrive the next morning. Early the next morning, Johnson called the number he was given and another airline employee answered. “Mr. Johnson, your bags have arrived,’” he said. Johnson then asked to have the luggage delivered to his hotel. The airline employee said a delivery van would not be available for a couple of hours, and that he would receive his luggage around noon. “That didn’t work for me because I had to get dressed and go back out to the airport to the airline’s headquarters to give the seminar,” Johnson said. After Johnson explained the situation, the airline employee said he would deliver the luggage himself and leave it with the hotel concierge. Satisfied the situation had been resolved, Johnson went back to bed. Later that morning, when he called the concierge to get his bag, he was told the bag was not there. He immediately called the airline employee back, wondering why his bag wasn’t at the hotel. It was the employee who delivered Johnson’s luggage to the hotel. “I thanked him and said, ‘I really appreciated you bringing my bags and getting the problem straightened out,’” Johnson said. The employee said he had never met Johnson. After telling the story, Johnson asked the audience, “Wouldn’t you love to have employees like that? Aren’t they awesome? Don’t you just want to hold onto them and never let them go? Johnson outlined some of the principles upon which his presentation was based. Johnson offered some ways “needs’ and “wants” may differ. A second principle comes from Dr. Stephen Covey, the author of “The Seven Habits of Highly Effective People.” In the book, Covey talks about something called “emotional banking,” Johnson said. “Emotional banking says we all maintain in our heads a bank account on all the deposits and withdrawals that each person makes with us,” Johnson said. “This is a huge deposit,” Johnson said. In this example, a “withdrawal” would be if the boss is in a jam and asks the employee to work overtime, Johnson said. For example, about 20 years ago, Johnson was employed by the city of Phoenix, AZ, where he was in charge of the training department. The training room also doubled as a conference room. There was a large, heavy table in the room that Johnson needed to move from time to time. Johnson would ask the man to help with moving the table, and each time he graciously complied, until, one day, Johnson bounced an emotional check. Johnson said it would behoove supervisors and managers to consider the matter of an emotional bank account. He gave the following example, in which a manager or supervisor leaves a company and moves out of town. Johnson told the story of sitting on a plane when the flight attendant gave the typical safety presentation prior to takeoff. Johnson said fear can be an effective motivator in some cases, such as the fear of getting caught might stop a person from stealing on the job, for example. “The problem is fear is like the tension on a violin string— too much fear and the string breaks,” Johnson said. While fear can be effective at times, Johnson said an even more important motivator is to make sure people have fun at work. He told the audience of the time he heard a flight attendant give a safety spiel that was humorous and fun. "By making it fun, the flight attendant motivated people to use that airline,” Johnson said. Speaking of that same airline, Johnson told how it avoided financial disaster. The airline had been renting about one-third of its planes. In the mid-1980s, the airline was facing a financial crisis as it could no longer pay the rent on the planes. Johnson said the key was how the company devised a scheme that made is possible to load and unload passengers quickly. In addition, the airline billed itself as the most fun airline in the world. He then asked the audience to think of other ways to motivate people. One person’s list included money, alcohol, time off and food. A second audience member said recognition, importance, buy-in, clear expectations, love, autonomy, success and being listen to by superiors. Johnson referenced a classic study conducted by the late Frederick Herzberg, who was a clinical psychologist and pioneer of “job enrichment.” He is regarded as one of the great original thinkers in management and motivational theory. “He found factors that motivate people in the workplace fall into two categories,” Johnson said. “What he called ‘maintenance factors’ tend to be the concrete things. In contrast, ‘motivator factors’ tend to be non-concrete things. Johnson said, while it is wise to give people what they need and want in terms of the maintainers, it is the motivators that inspire people to go beyond just doing their jobs. Motivator factors include recognition/praise, interesting work, empowerment, a caring boss and growth. “I think the company that is the premier maintainer payer is Google,” Johnson said. “Google employees get free gourmet meals, a gym, locker room, laundry facilities, massage rooms, masseuses and bus transportation. Johnson said Google has 20,000 employees. The company’s turnover rate is 3 percent, which amounts to 600 employees. That number times $210,000 is $126 million. On the motivator side of the ledger, Johnson first spoke of recognition and praise. “Is it possible to praise people too much?” Johnson asked. “I don’t know if it is possible or not, but is there anybody in this room getting too much praise? My bet is, if anything, you probably need a little more, as long as it is done well. Unfortunately, some of us work for what I call a ‘praise miser’ — it just kills this person to say something nice about what somebody else is doing. Another motivator is interesting work. When talking about empowerment as a motivator, Johnson told about one hotel whose management allowed employees to think on their feet to solve problems. “He wouldn’t take a check and I wanted to do something nice for him, so I thought I would tell his boss about the incident. I knew there was a risk that the hotel employee would get in trouble. Johnson spoke of the late Brig. Gen. Robert McDermott, who was the first permanent Dean of the Faculty at the United States Air Force Academy, and who later served as chairman and CEO of a well-known insurance company. Another motivator is a caring boss. Johnson told the story of a well-known New England grocery retailer whose employees went on strike. The strike was a result of the firing of the popular CEO of the company. The employees loved him so much, they refused to work without him. The newspaper story also told of one of the company’s store managers who described a phone call he received from the CEO two years earlier, when the manager’s daughter was seriously injured in a car accident. According to news reports, after a month-long work stoppage, the company’s board reversed itself and put the CEO back in charge. 1413 E. Cholla St., Phoenix, AZ 85020. U.S. government trade figures for the first 11 months of 2015 indicate raw material imports were up in two categories outlined: hog bristle and brush backs, compared to the first 11 months of 2014. 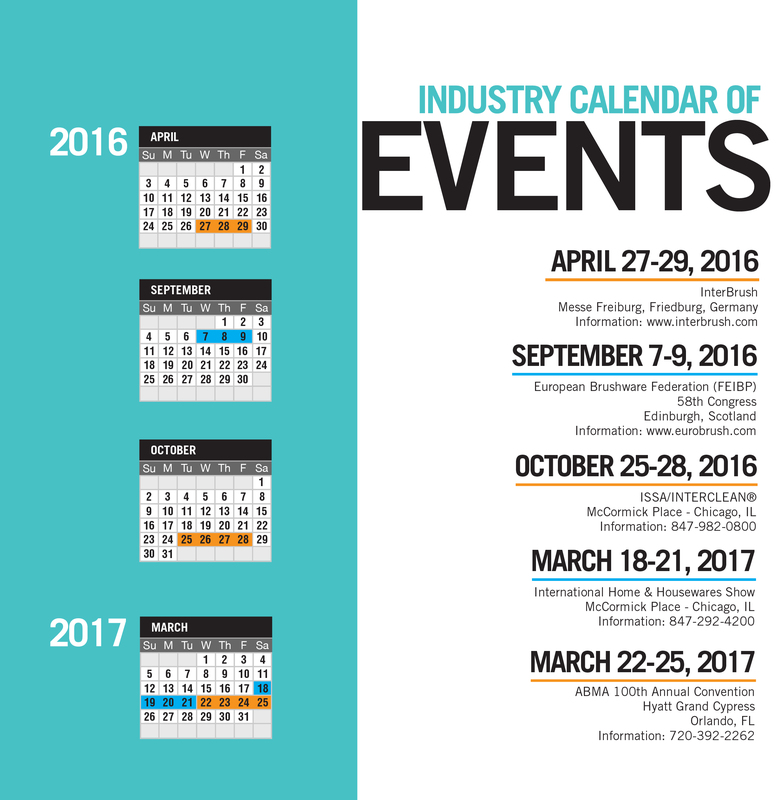 For November 2015, two categories outlined reported decreases, hog bristle and brush backs, compared to November 2014. Import totals for the first 11 months of 2015 were up in six finished goods categories outlined: brooms and brushes of vegetable materials, toothbrushes, hairbrushes, paint rollers, paintbrushes and upright brooms, compared to the first 11 months of 2014. In November 2015, four categories outlined recorded increases: Brooms of broom corn valued at more than 96 cents, toothbrushes, paint rollers and paintbrushes, compared to November 2014. The United States imported 13,985 kilograms of hog bristle in November 2015, down 44 percent from 24,964 kilograms imported in November 2014. During the first 11 months of 2015, 251,327 kilograms of hog bristle were imported, up 3 percent from 244,539 kilograms imported during the first 11 months of 2014. China sent 247,734 kilograms of hog bristle to the United States during the first 11 months of 2015. The average price per kilogram for November 2015 was $33.59, up 62 percent from the average price per kilogram for November 2014 of $20.73. The average price per kilogram for the first 11 months of 2015 was $19.72, up 24 percent from the average price per kilogram of $15.85 for the first 11 months of 2014. The import total of broom and mop handles during November 2015 was 1.5 million, the same as for November 2014. During the first 11 months of 2015, 16.6 million broom and mop handles were imported, down 2 percent from 16.9 million for the first 11 months of 2014. During the first 11 months of 2015, the United States received 9 million broom and mop handles from Brazil, 4.2 million from Honduras and 2.4 million from China. The average price per handle for November 2015 was 87 cents, up 10 percent from the average for November 2014 of 79 cents. The average price for the first 11 months of 2015 was 95 cents, up 4 percent from 91 cents for the first 11 months of 2014. November 2015 imports of brush backs totaled 571,017, down less than 1 percent from 573,311 for November 2014. During the first 11 months of 2015, 6.5 million brush backs were imported, up 8 percent from 6 million for the first 11 months of 2014. Canada sent 3.3 million brush backs to the United States during the first 11 months of 2015, while Sri Lanka shipped 2.6 million. The average price per brush back was 51 cents during November 2015, up 4 percent fromm 49 cents for November 2014. For the first 11 months of 2015, the average price per brush back was 45 cents, the same as the average price for the first 11 months of 2014. The import total of metal handles during November 2015 was 2.3 million, up 64 percent from 1.4 million for November 2014. During the first 11 months of 2015, 25 million metal handles were imported, down 8 percent from 27.3 million for the first 11 months of 2014. During the first 11 months of 2015, Spain exported 11.7 million metal handles to the United States, while China sent 9.9 million and Italy shipped 2.6 million. The average price per handle for November 2015 was $1.03, down 21 percent from $1.30 for November 2014. The average price for the first 11 months of 2015 was 98 cents, up 11 percent from the average price for the first 11 months of 2014 of 88 cents. The United States imported 610,876 brooms of broom corn valued at more than 96 cents per broom during November 2015, up 6 percent from 575,401 for November 2014. During the first 11 months of 2015, 6.9 million brooms of broom corn were imported, down 7 percent from 7.4 million for the first 11 months of 2014. Mexico shipped 6.8 million brooms to the United States during the first 11 months of 2015. The average price per broom for November 2015 was $2.44, down 4 percent from $2.53 for November 2014. The average price per broom for the first 11 months of 2015 was $2.53, up 1 percent from the average price for the first 11 months of 2014 of $2.51. The import total of brooms and brushes of vegetable material during November 2015 was 312,009, down 3 percent from 323,290 brooms and brushes imported during November 2014. During the first 11 months of 2015, 5.3 million brooms and brushes were imported, up 121 percent from 2.4 million for the first 11 months of 2014. 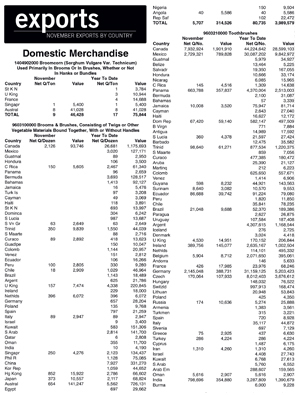 Sri Lanka exported 1.8 million brooms and brushes to the United States during the first 11 months of 2015, while Canada sent 1.5 million and China shipped 1.3 million. The average price per unit for November 2015 was $1.31, up 6 percent from the average price for November 2014 of $1.24. The average price for the first 11 months of 2015 was $1.03, down 27 percent from $1.42 for the first 11 months of 2014. The United States imported 74.6 million toothbrushes in November 2015, up 1 percent from 74.1 million imported in November 2014. During the first 11 months of 2015, 942.1 million toothbrushes were imported, up 2 percent from 924.2 million imported during the first 11 months of 2014. China sent 722.4 million toothbrushes to the United States during the first 11 months of 2015. The average price per toothbrush for November 2015 was 23 cents, down 1 cent from the average price for November 2014. The average price for the first 11 months of 2015 was 24 cents, the same as the average price for the first 11 months of 2014. November 2015 imports of hairbrushes totaled 3.4 million, down 6 percent from 3.6 million for November 2014. During the first 11 months of 2015, 41.9 million hairbrushes were imported, up 27 percent from 33 million for the first 11 months of 2014. China shipped 41.8 million hairbrushes to the United States during the first 11 months of 2015. The average price per hairbrush was 30 cents during November 2015, up 11 percent from 27 cents for November 2014. For the first 11 months of 2015, the average price per hairbrush was 25 cents, down 11 percent from the average price for the first 11 months of 2014 of 28 cents. The United States imported 5.5 million shaving brushes in November 2015, down 45 percent from 10 million imported in November 2014. During the first 11 months of 2015, 78.3 million shaving brushes were imported, down 25 percent from 104.5 million imported during the first 11 months of 2014. China sent 46.7 million shaving brushes to the United States during the first 11 months of 2015, while Germany shipped 23.5 million. The average price per shaving brush for November 2015 was 13 cents, up 63 percent from the average price for November 2014 of 8 cents. The average price for the first 11 months of 2015 was 11 cents, up 1 cent from the average price for the first 11 months of 2014. The import total of paint rollers during November 2015 was 3.7 million, up 6 percent from 3.5 million for November 2014. During the first 11 months of 2015, 61.4 million paint rollers were imported, up 26 percent from 48.7 million during the first 11 months of 2014. China sent 50.3 million paint rollers to the United States during the first 11 months of 2015, while Mexico exported 6 million and Germany shipped 1.3 million. The average price per paint roller for November 2015 was 62 cents, up 27 percent from the average price for November 2014 of 49 cents. The average price for the first 11 months of 2015 was 52 cents, up 4 percent from the average price for the first 11 months of 2014 of 50 cents. U.S. companies imported 17.5 million paintbrushes during November 2015, up 30 percent from 13.5 million paintbrushes imported during November 2014. Paintbrush imports for the first 11 months of 2015 were 227.1 million, up 12 percent from 203.6 million recorded for the first 11 months of 2014. China shipped 214.8 million paintbrushes to the United States during the first 11 months of 2015. The average price per paintbrush for November 2015 was 36 cents, up 29 percent from the average price for November 2014 of 28 cents. The average price for the first 11 months of 2015 was 33 cents, up 14 percent from 29 cents for the first 11 months of 2014. The total import of upright brooms for November 2015 was 1.3 million, down 13 percent from 1.5 million for November 2014. During the first 11 months of 2015, 14.2 million upright brooms were imported, up less than 1 percent from 14.1 million imported during the first 11 months of 2014. China sent 12.1 million upright brooms to the United States during the first 11 months of 2015. The average price per broom for November 2015 was $1.59, up 7 percent from the average price for November 2014 of $1.49. The average price per broom for the first 11 months of 2015 was $1.46, down 5 percent from $1.54 for the first 11 months of 2014. ﻿Export totals for the first 11 months of 2015 were up in four categories outlined: brooms and brushes of vegetable materials, toothbrushes, shaving brushes and artist brushes, compared to the first 11 months of 2014. In November 2015, four categories outlined reported increases: brooms and brushes of vegetable materials, toothbrushes, artist brushes and paintbrushes, compared to November 2014. The United States exported 5,707 dozen brooms and brushes of vegetable materials during November 2015, up 49 percent from the November 2014 total of 3,843 dozen. Exports of brooms and brushes of vegetable materials during the first 11 months of 2015 were 80,735 dozen, up 35 percent from 59,751 dozen for the first 11 months of 2014. The United States sent 26,681 dozen brooms and brushes to Canada during the first 11 months of 2015, and 7,927 dozen to China. The average price per dozen brooms and brushes was $55.11 in November 2015, up 46 percent from $37.39 for November 2014. The average price per dozen brooms and brushes for the first 11 months of 2015 was $49.42, up 22 percent from $40.36 for the average price per dozen for the first 11 months of 2014. During November 2015, the United States exported 17.9 million toothbrushes, up 31 percent from the total recorded in November 2014 of 13.7 million. During the first 11 months of 2015, 160.6 million toothbrushes were exported, up 4 percent from 154.4 million exported during the first 11 months of 2014. The United States exported 44.2 million toothbrushes to Canada, 31.2 million to Germany and 30.1 million to Mexico, during the first 11 months of 2015. The average price per toothbrush for November 2015 was 33 cents, down 35 percent from 51 cents for November 2014. The average price per toothbrush for the first 11 months of 2015 was 46 cents, up 1 cent from the average price for the first 11 months of 2014. The United States exported 1 million shaving brushes during November 2015, down 55 percent from 2.2 million shaving brushes exported for November 2014. During the first 11 months of 2015, 15.6 million shaving brushes were exported, up 3 percent from 15.1 million for the first 11 months of 2014. Canada imported 4.7 million shaving brushes from the United States during the first 11 months of 2015, while Brazil received 4.6 million and Mexico imported 2.2 million. The average price per shaving brush for November 2015 was $1.45, up 73 percent from the average price for November 2014 of 84 cents. The average price for the first 11 months of 2015 was $1.13, down 7 percent from $1.22 for the first 11 months of 2014. November 2015 exports of artist brushes totaled 1.1 million, up 16 percent from 947,237 for November 2014. During the first 11 months of 2015, 11.4 million artist brushes were exported, up 11 percent from 10.3 million for the first 11 months of 2014. Canada received 7.3 million artist brushes from the United States during the first 11 months of 2015. The average price per artist brush was $2.49 during November 2015, down 3 percent from the average price for November 2014 of $2.58. For the first 11 months of 2015, the average price per artist brush was $2.42, down 6 percent from the average price for the first 11 months of 2014 of $2.58. The export total of paintbrushes during November 2015 was 121,575, up 18 percent from 102,963 for November 2014. During the first 11 months of 2015, 1.5 million paintbrushes were exported, the same as the first 11 months of 2014. Canada imported 648,743 paintbrushes from the United States during the first 11 months of 2015, while the United Kingdom received 310,734. The average price per paintbrush for November 2015 was $11.95, down 11 percent from $13.38 for November 2014. The average price for the first 11 months of 2015 was $12.46, down 21 percent from $15.81 recorded for the first 11 months of 2014. ﻿“In 2015, sales for the ZAHORANSKY GROUP rose to a record high of almost 83 million Euro, compared with 80 million Euro the year before, and 70 million Euro in 2013. This is the result of continuous growth in all five production sites worldwide,” according to a company press release. “This is especially true with the expansion of the production capacities at ZAHORANSKY Moulds & Machines Pvt. Ltd., in Coimbatore, India, which lead to a doubling of sales to 7.3 million Euro. The strategy of establishing direct sales in markets abroad has developed exceedingly well and is being pursued further. New or restructured branches were formed in Japan, China, the USA and India. Beginning this month (March), sales and service in Brazil will be 100 percent managed by its own initiative." 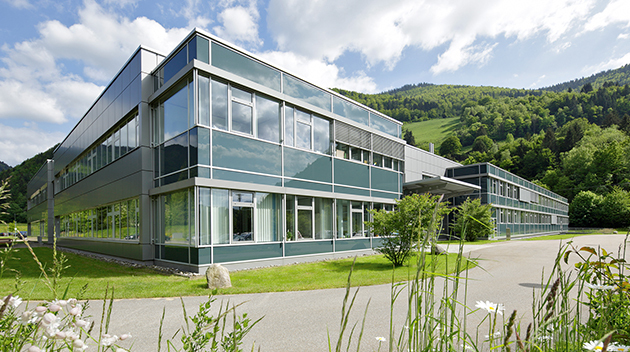 With more than 730 employees and 80 apprentices, the company operates from 11 locations in Germany, Japan, Spain, China, India, Brazil and the USA. The forecast of incoming orders for 2016 is above the record figures for 2015. The production floor space in the Spanish plant in Logroño (La Rioja) is doubling from the current 2,100 m2 to 4,200 m2. ﻿Effective February 29, 2016, American Select Tubing (AST) acquired Carolina Filaments, LLC. Operating as AST Filaments, the company will market, stock and distribute filaments for Filkemp (Portugal), Plasticfibre (Italy), and other potential partners to customers in North America and Mexico. “Brian Crawford, founder and owner of Carolina Filaments, remains with AST Filaments for an extended time to ensure a smooth transition for both customers and suppliers,” according to AST. With over 30 years of experience in the brush and filament industry, Crawford works with Dustin Maninfior, who is sales manager of AST Filaments, and Jennifer Wright, who has customer service responsibilities. Filkemp is a producer of abrasive filaments, and is located near Lisbon, Portugal. ISO certified, Filkemp products use nylon resins in conjunction with silica carbide, aluminum oxide, ceramic, and diamond aggregates to provide solutions for industrial, floor care, stone polishing, automotive, and other markets. Plasticfibre, located in Bologna, Italy, is a manufacturer of synthetic filaments including PP, PS, SAN, PVC, polyester, and nylon. Also ISO 9000 certified, for over 50 years, Plasticfibre filaments have found applications in food service, agricultural, industrial, automotive, as well as janitorial and sanitary supply markets. “The mission at AST Filaments will be to continue to offer filament and brush making solutions through the same levels of service, product quality and competitiveness that customers have come to expect from Carolina Filaments. Current plans are to distribute filament products from a 186,000-square-foot location in Mattoon, IL,” according to AST. “The additions are aimed at better serving customers by improving shopping experience and honoring their specialized applications. The new site features e-commerce shopping, giving customers the flexibility to order independently any time of day, at small quantities. The site additions also include an advanced product filtering system. 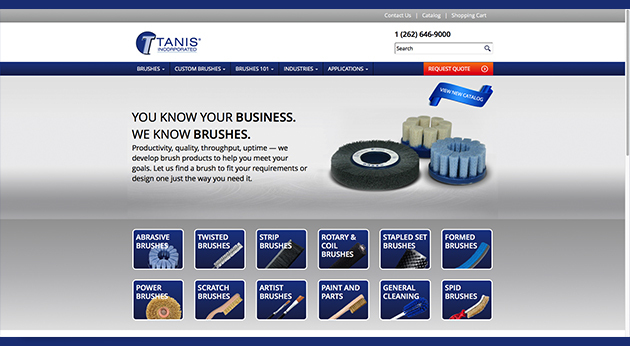 Users can search by brush features such as length, diameter, fill material and max RPM,” said Scott Tanis, president of Tanis, Inc. The enhanced website also saves customers' order history, takes questions via chat, is mobile friendly and offers direct communication and troubleshooting with the company’s application engineers. Visit www.tanisbrush.com for more information. 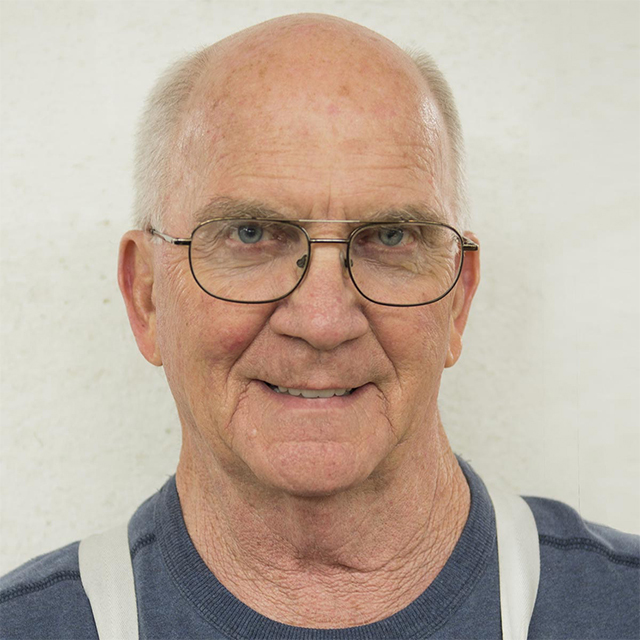 ﻿On March 14, 2016, Don Kosier reached 50 years of service with The Wooster Brush Company. Born in Wadsworth, OH, Kosier and his family moved to Wooster when he was young. After graduating from Wooster High School, he served in the U.S. Navy for 3 1/2 years before returning home and joining Wooster Brush in 1966. “In the military, Don was part of 'Kiddie Cruise,' a program for high school graduates under age 18, who could serve with their parents’ permission until age 21. Trained as an electrician, Kosier uses many of the skills he learned during his service time today,” said Wooster. “I started out in maintenance, and then an opening came up and I was assigned to second shift setup,” Kosier said. “Today he is responsible for machine operation in brush setup on first shift, where he troubleshoots equipment and makes machinery adjustments required for different brush sizes or styles,” said the company. Kosier has been married for 17 years, and his wife Sandra is also a Wooster Brush employee. She has 27 years of service with the company. Kosier is the 16th person in the company’s 165-year history to have reached this milestone. The current average length of service for all 550 employees is 16 years. 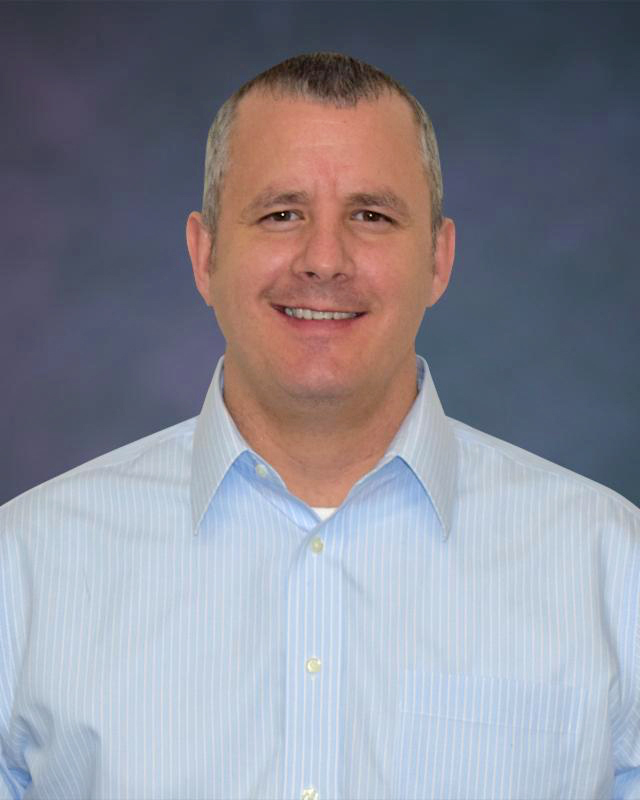 ﻿The Malish Corporation, a manufacturer and marketer of rotary/disc brushes for commercial floor cleaning machines, along with a line of janitorial and foodservice/color-coded brushes, has promoted Kevin Young to the position of director of OEM Sales for North America/Asia. Young has been with Malish for over 13 years in OEM Sales and as OEM sales manager responsible for North America, Asia and Oceania.